basicaly so can use everything for onigiri, but in Japan plum, dried seawed, and sesame are commonly used. you can mixed it with some egg, fish, or everthing. The main point is you should should have very fluffy rice like in Japan. In Japan, we use Oryza japonica rice, it is very sticky so making onigiri will be not such a big deal. I try using Oryza javanica rice in Indonesia, and it was a little bit more difficult because the rice are not stick each other well. 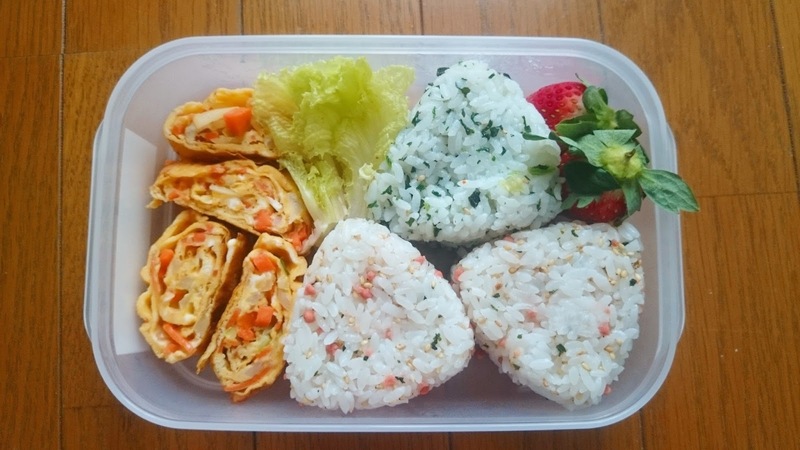 Basically you just make a simple omelete, what make Japan omelete special is: They rolled it! Trust me, I learn a lot for this. What you should do is make very thin layer of omelete then roll! after that add some thin layer below it and then roll! and so on and so on. First try may be failed, but never give up.